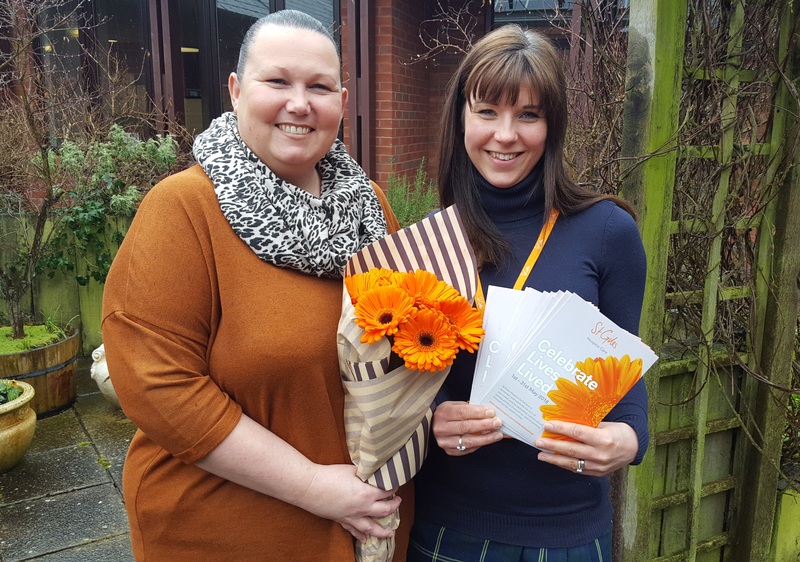 St Giles Hospice will be inviting local families to remember their loved ones and celebrate their lives with an orange gerbera at their special memorial gardens in Whittington and Lichfield this spring. For a donation relatives and friends are being invited to dedicate a unique gerbera sign, which is personalized with the name of their loved one. The colourful sign will then be placed in the special Celebrate Lives Lived garden at the hospice in Fisherwick Road, Whittington throughout May. There will also be a special garden in Lichfield’s Beacon Park later in the month. Abi Mills, In Memoriam Giving Manager said: “The creation of our annual Celebrate Lives Lived garden is always a special time for everybody at St Giles as we mark the arrival of spring with a bright and uplifting display of celebration and remembrance. Families can choose to have their personalised gerbera in the gardens at any one of the hospice centres in Whittington, Sutton Coldfield, Uttoxeter and Walsall throughout the month of May. New for 2018 and in partnership with Lichfield District Council, St Giles will also have a Celebrate Lives Lived garden in Beacon Park, Lichfield, for ten days from Monday, 21st to Thursday, 31st May 2018, which will be open between 12pm – 4pm. Steve and Maria Noctor, owners of TrophyStore.co.uk Ltd, the UK’s largest online retailer of trophies, medals and awards, have selected St Giles as the company’s charity of the year and will be backing the hospice through various activities and fundraising events. The couple has personal experience of the support that St Giles offers after a family member received care at the hospice. To dedicate your gerbera, visit www.stgileshospice.com/celebrateliveslived or call the St Giles Hospice Supporter Development Team on 01543 432538. The closing date for Celebrate Lives Lived dedications is Friday, 20th April, 2018.